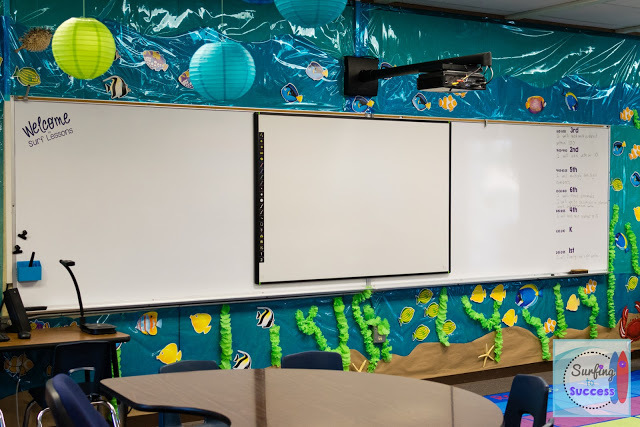 Bring the ocean into your classroom with these themed classroom and activities ideas to help your students learn about ocean life, human interactions with the ocean, and the ocean’s physical geography, and to gain the information necessary to formulate their own opinions on ocean-related environmental issues. Our sea turtle writing was stapled to the back of paper plate turtles with a shell pattern. 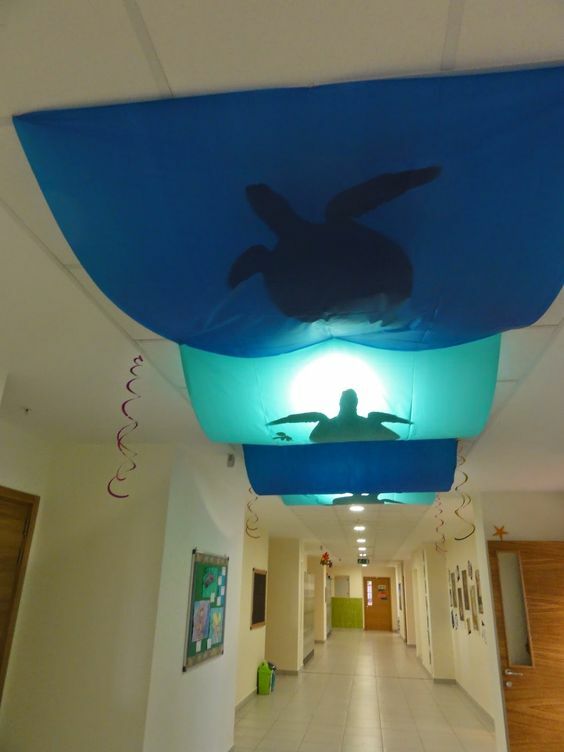 Getting kids to understand that turtles travel through the ocean by currents. 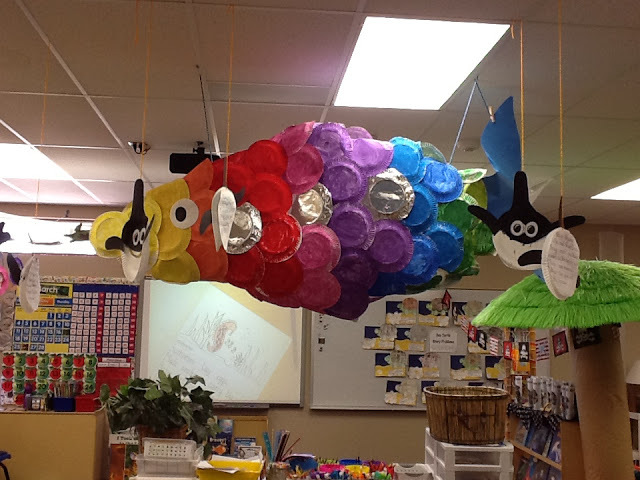 Teaching the responsible use of marine resources. 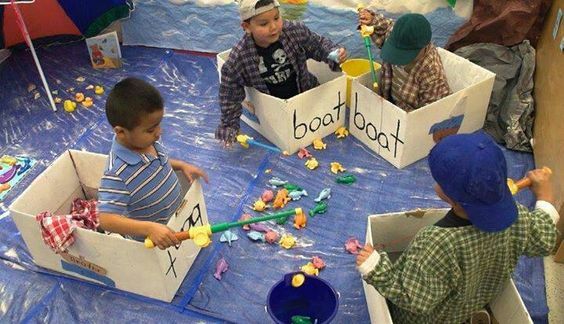 Make fishing boats out of cardboard boxes, lay down a blue tarp to make it look like water, use a sand bucket to put the fish, turtles, dolphins and sharks in and use those play fishing poles with fish that you get in any toy section at any large super store. The winner is who support fisherman, who are not catching too many fish, and who take care not to catch other animals in their nets by mistake. 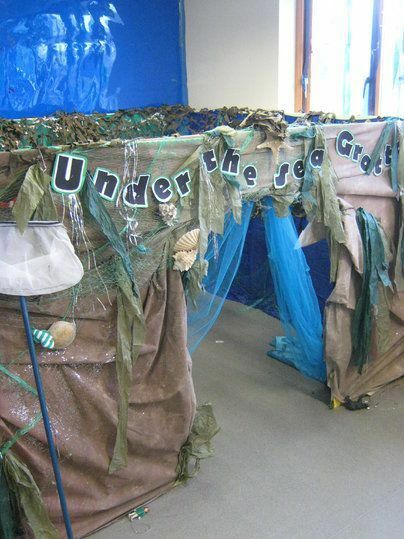 Under The Sea Grotto, a perfect corner for quiet activities and reading about the ocean. 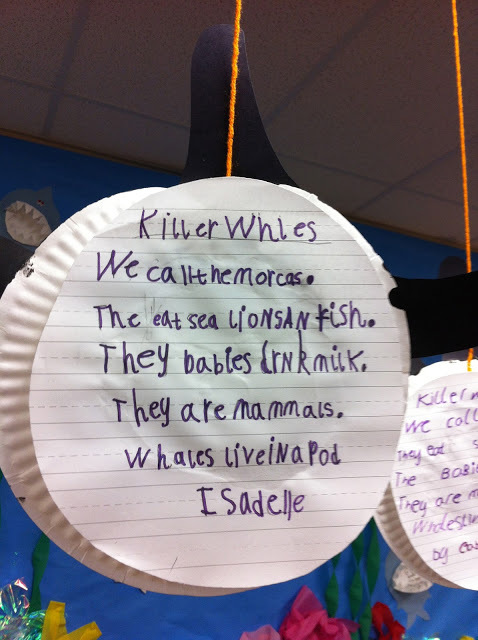 Writing about Killer Whales and other marine species. These Oceans in a Bottle look fantastic and and help students learn about ocean biodiversity. 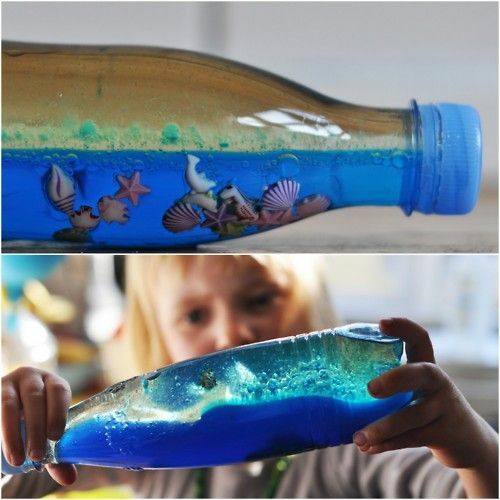 Fill a 1/3 of a plastic bottle with water, add blue food colouring, oil to fill the rest of the bottle, seashells, stones, plastic fishes plastic beads. As the oil water doesn’t mix, the oil creates slow waves in the water when you turn it back forth. Explain why is water important for humans and other living organisms with a white board surrounded by water. 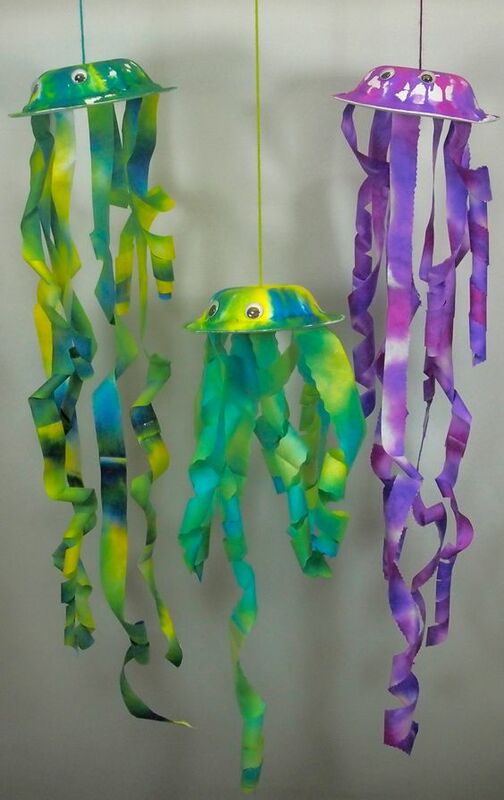 Paper jellyfish always make a great decoration for an underwater theme. 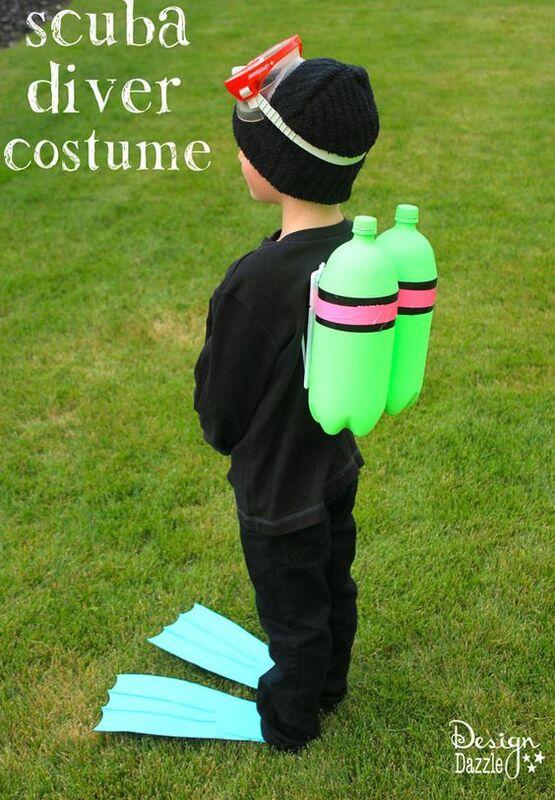 Make an ocean tour with scuba diver costumes.